First, on the decision to wear a helmet: as an individual, it is a sensible decision to wear one when cycling. Especially if you engage in any of the behaviours that might make a crash more likely – including riding fast (for instance to be more visible and feel less vulnerable when you have to ride on the road in traffic); or riding on poor surfaces (like across the wheel-grabbing lip of any driveway in Brisbane. Or across the most important bicycle bridge in our city.) If you race, down-hill mountain bike, or love fanging down windy mountain roads, definitely wear a helmet! In the event of a crash where you hit your head, a helmet will probably help limit a skull injury, and may also offer some protection against a brain injury. Just as it would if you struck your head doing any of the those activities significantly more risky than cycling; such as using a ladder, or driving a car, or being a passenger in a car. Helmets themselves are much less awful than they used to be when you and everyone you know stopped riding their bikes in the ’90s because you suddenly had to wear one. There are versions for as little as $20 to $50, and if you’re lucky you might be able to find one of those that you can adjust to fit properly and be somewhat comfortable. Unfortunately it is harder to find a way of combining a helmet with decent sun protection, so you will need to weigh this all against the very real and known risks of sun exposure. We would rather the police were able to direct their energy where they can make the most difference to safety on our roads and to security (including perceptions of it) on off-road pathways, rather than spending resources fining healthy transport. We would rather politicians at all levels would stop being distracted by helmets (or bare heads) and get on with directing energy and resources to building better infrastructure and supporting legislation that would make it safer and more enjoyable for anyone to ride a bike. Saturday, March 17th 2018: Meeting at the Cultural Forecourt (South Bank) near the Wheel of Brisbane at 12:50pm to kick off proceedings from 1pm. 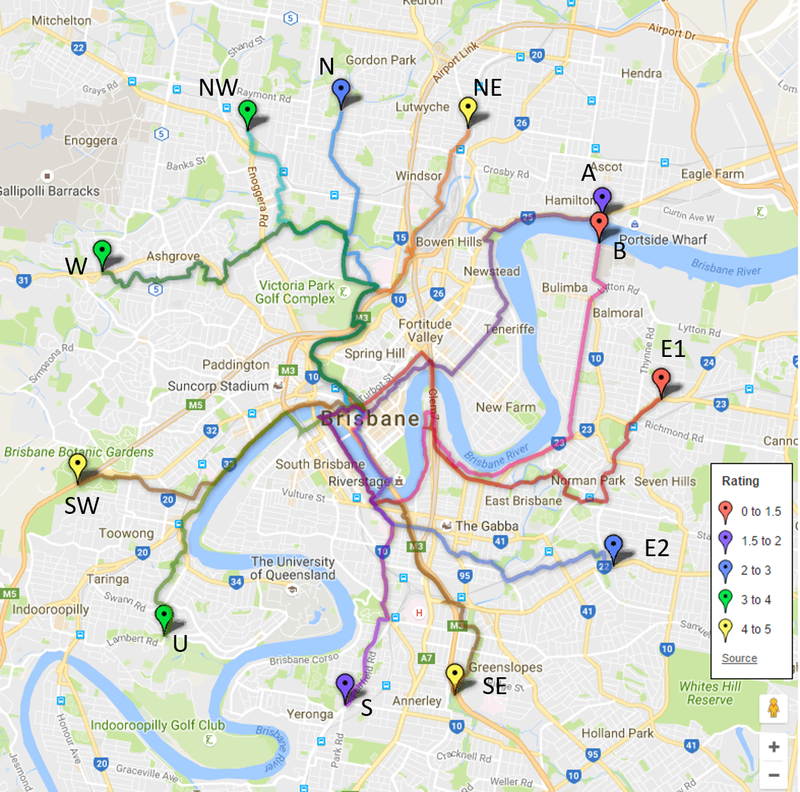 The ride will go over the Goodwill Bridge to the Botanic Gardens and back. The pace will be inclusive of all and in keeping with pedestrian traffic. That’s it. That’s all we at Space4cyclingBNE have to say on the matter. This is one instance where we’re really not particularly interested in your opinion or your anecdote. We’ve all heard it all before. If you are especially passionate about the topic of mandatory helmet laws (either for or against), we encourage you to go and make your views known to your elected representative yourself, or join a group that is already lobbying on the issue, or form your own group if you don’t like the way someone else is doing it.